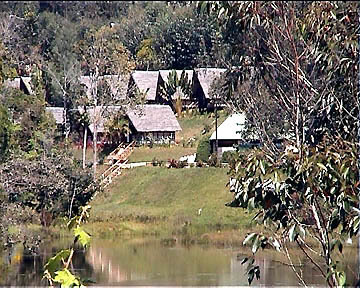 The Feon'ny Ala bungalow hotel is located just beside the 'Lac Rouge' (red lake} on the border of Perinet park about 2 km from its entrance. 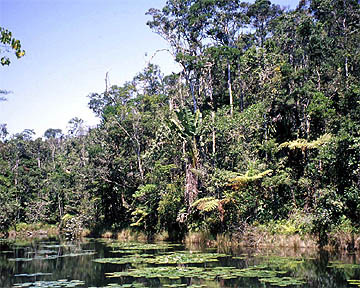 The Perinet Park is a 810 hectare upland rainforest reserve with an amazing vegetation and wildlife in compare with its small size. 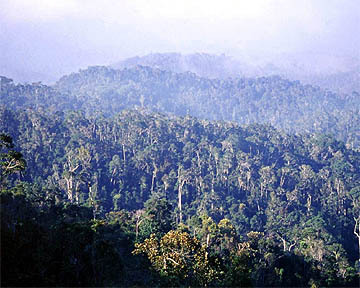 The park and the neighbouring forests are home of the Indris can be seen nowhere else in the whole world. One of the 26 registered Brookesia species. 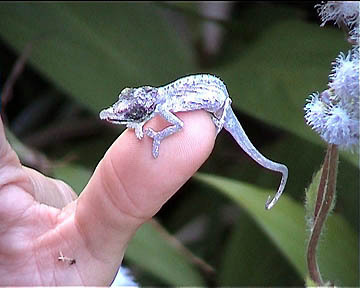 Brookesia's are the world smallest chameleons. 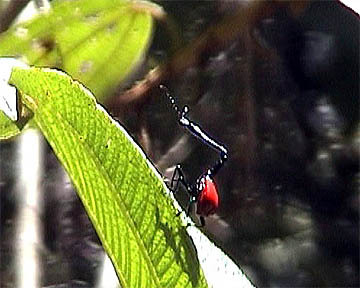 Giraffe-necked weevil. 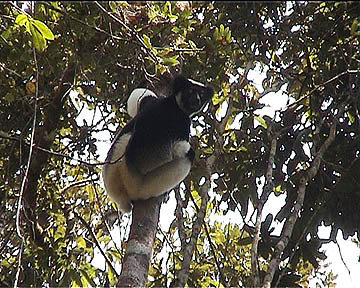 The long neck of the male is adapted for rolling a leaf to make a case for the single egg layed by the female.